The Young Friends of the Countryside is a European non-profit association. The YFCS is a membership organization for young business people, rural entrepreneurs, future and young private landowners below the age of 35. The YFCS organization was created with the aim of promoting rural entrepreneurship and to help maintain the constant evolution and innovation in the rural sector. In this regard, preparing the younger generation to be able to cope with the challenges of the management of rural business is key. 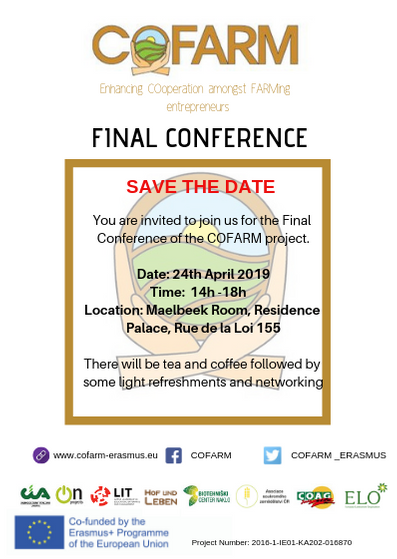 ELO are partners in an Erasmus project COFARM – Enhancing cooperation between rural entrepreneurs which will be coming to an end. Click here to check our upcoming agenda of events!